What's the difference between MDM, MAM, EMM and UEM? Confused by the jumble of acronyms surrounding mobile device management? This video simply defines three key concepts: Mobile application management (MAM), enterprise mobility management (EMM) and unified endpoint management (UEM). The difference between mobile management policies and technologies may come down to degrees of control, but deploying the wrong strategy can cost companies monetarily and kill employee morale. When bring-your-own-device (BYOD) strategies first emerged several years ago, many corporations made device wiping a key goal; after all, the ability to delete data from an employee's smartphone or tablet appeared, on the surface, to be the best way to stop leaks or the misuse of sensitive information. So, as employees, particularly senior-level workers, began demanding mobile devices for business use, IT often turned to either company-owned hardware or restrictive mobile device management (MDM) software. MDM allows IT to remotely enroll an employee or corporate-issued cell phone, tablet or other device and then track it, manage it and secure it through a profile specific to that employee and their tasks. MDM lets a company provision and configure Wi-Fi access, install and manage enterprise apps such as email, and address any problems that arise on a device. It also allows IT to enforce device security, which can include locking out a device and wiping data if it's lost or an employee leaves a company. One hitch in that scenario: Most employees are happier using their own mobile devices and don't like the idea of all their data, including personal photos and messages, being deleted. Not only can MDM be overly invasive, it can also be wasteful. Many companies often over buy MDM software, expecting to use licenses for all employees. But they end up using licenses for a far smaller percentage of workers, according to research firm Gartner. There's a more targeted solution: mobile application management (MAM). This strategy locks down enterprise applications and the data associated with them -- not the devices themselves. In short, MAM allows a company to control access to business applications and the content associated with them without controlling the entire physical device. While corporate email is the most widely deployed form of MAM, employees may also be given secure access to a menu of applications, such as sales support, cloud storage or collaboration tools. Features such as copy and paste can also be limited, preventing employees from sharing corporate data with unapproved applications. MAM allows IT to control just the access to and features of applications. That way, if an employee loses a device or leaves the company, the access to applications and business data can be removed from the smartphone, tablet or laptop, leaving personal data intact. MAM also allows applications to be remotely updated with new features and patches, making it easier to address new security threats quickly. Compared to MDM and MAM, unified endpoint management (UEM) covers all hardware in an enterprise in one strategy. UEM allows IT to remotely provision, control and secure everything from cell phones, to tablets, laptops, desktops and now, Internet of Things (IoT) devices. UEM can manage devices across a variety of platforms, theoretically, at least, making it easier to lockdown hardware and protect critical data. Although it is still a nascent IT strategy, and it lacks a full set of comprehensive tools, that situation is quickly changing. For example, many of the basic application and system provisioning functions required for business laptops and PCs running Windows 10 can now be done through the OS's EMM control consoles, which are enabled by Microsoft's Intune protocol. That means organizations with more recent Windows PC deployments can use consolidated management tools and unified policy and configuration platforms via UEM. Vendors including VMware, MobileIron, BlackBerry and others are starting to add features to secure and manage Windows and other types of endpoints such as Chromebooks and IoT devices. 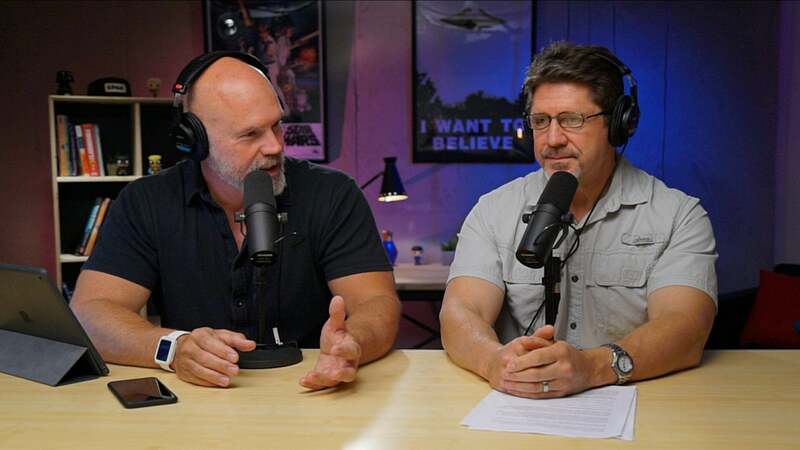 Though adoption has been spotty, a lot of pilot programs are under way and the technologies are converging; that paves the way for companies preparing to dig into their UEM deployment plans, Hockmuth added. In the same way UEM brings hardware under a single management strategy, enterprise mobility management (EMM) is aimed at all of the various software management tools under a single umbrella. EMM is a comprehensive, hardware-agnostic method of remotely managing devices, including their configuration and the enterprise content generated on them, through MDM and MAM. EMM is all-encompassing; it can control access to corporate apps, internal websites and even the data silos associated with them. Even as mobile device adoption in the enterprise has grown over the past decade, it hasn't peaked yet, according to an analysis by Gartner. 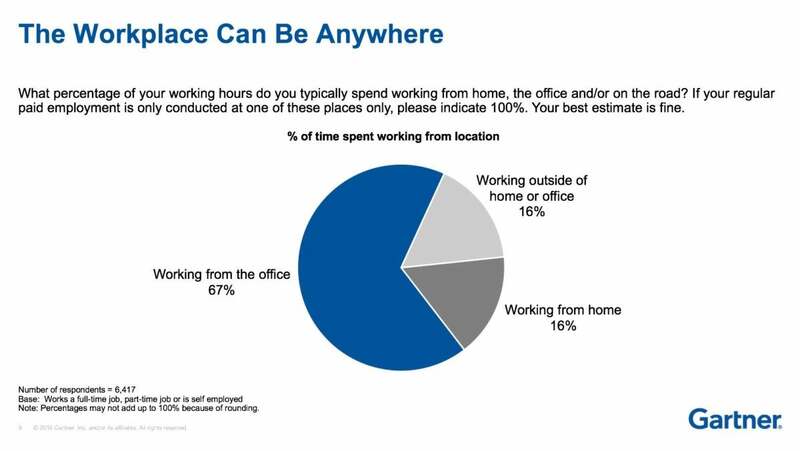 Eighty percent of employees consider PCs (desktops, notebooks and two-in-ones) as a main work device, regardless of whether they are corporate-issued or personally owned. 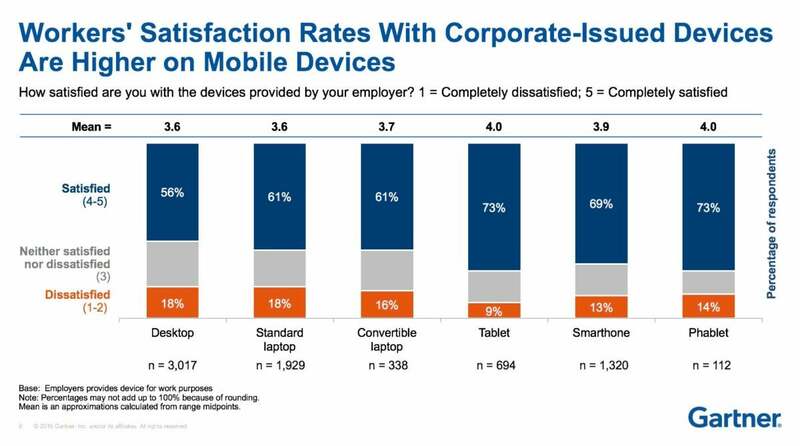 Only 12% of employees receive corporate-issued tablets. The majority of smartphones used at work are personally owned, and only 22% of employees are given company-issued smartphones. 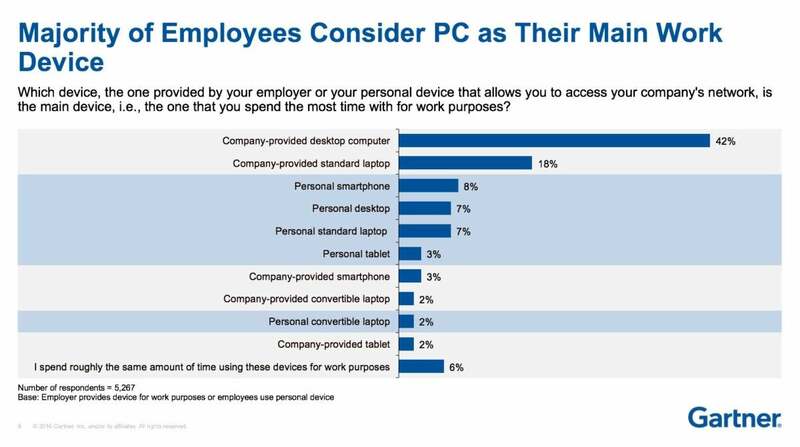 Those who get corporate smartphones and tablets are more satisfied with the device than users of company-issued PCs. 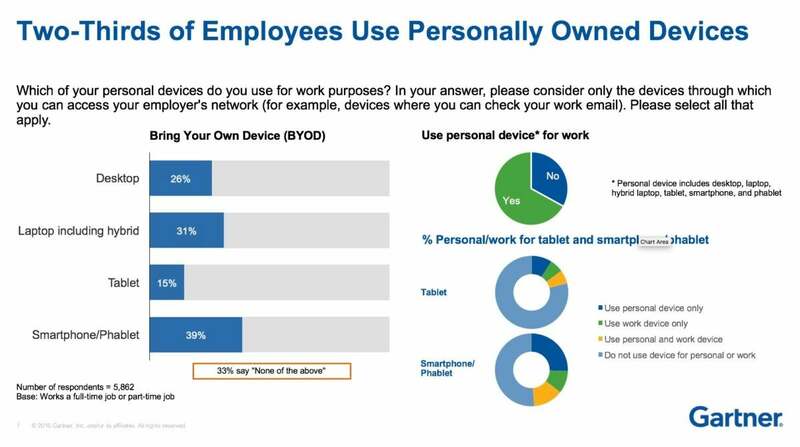 Tablets are the least-used device at work, as only 21% of respondents use them, including corporate-issued and personally owned ones. Two out of three workers use their own devices, including desktops, laptops, hybrid laptops, tablets, smartphones and phablets. Beyond MDM: Today's EMM suites add sophisticated capabilities: Enterprise mobility management tools are evolving far past their mobile device management roots. New features include better analytics, integration with Office 365, mobile identity management -- and preparing for the internet of things. Chart: Mobile management vendors compared: Our chart lets you quickly compare features and functions offered in the major EMM suites. We have the goods on 9 top vendors, in 10 different features categories. How iOS 11 makes mobile management easier: Apple's iOS 11, due out this fall, comes with new management features that build on the enterprise features rolled out earlier this year in iOS 10.3. How Windows 10 changes enterprise mobility management: Since its launch, Windows 10 has forced enterprises to rethink how they manage their PC and mobile environments. But even with useful built-in tools, the OS still leans on third-party MDM tool sets. Why mobile apps management trumps a traditional BYOD strategy: Companies are beginning to focus on mobile apps management instead of mobile device management. Here's why.